Description: Circular, one-sided. 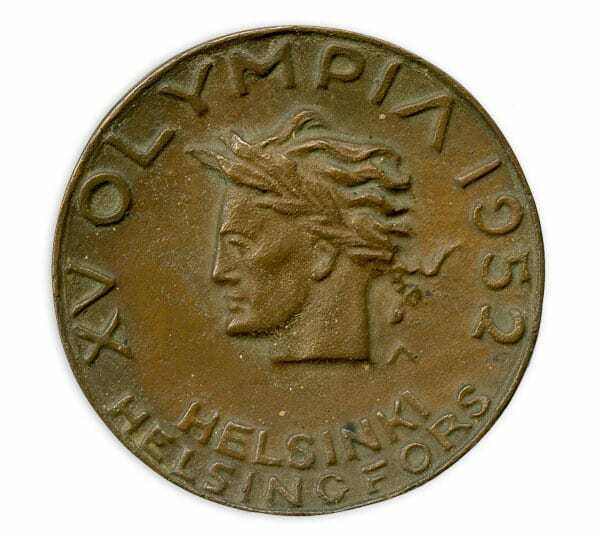 The text: XV OLYMPIA 1952 HELSINKI HELSINGFORS. Head of a youth facing left. On the right side of the head the letter A.